Shade plants properly displayed in "shade conditions". To assure the quality of our plants, we have built a shade structure to mirror the plant's proper sun exposure. 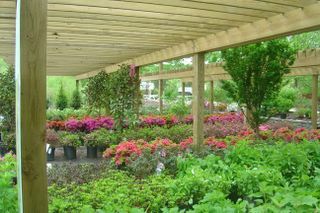 Azaleas, rhodendrons and hydrangeas prefer shade.